FGS Composites began in Switzerland with its founder Urs Kueng's association with the Museum of Natural History at Bern. Urs Kueng learnt the basic uses of reinforced plastics in an unusual environment, the construction of dermo plastic animals from fibre reinforced plastics, epoxies and urethanes. This experience gave Urs a thirst for knowledge and a drive to make a career from the diverse uses that these composites can be put to. As an initial venture, a hobby Indian canoe was developed and built, which resulted in larger than expected sales and the beginning of a business. The customer base grew to encompass clientele with other kinds of boats and watercraft that required repairs and modifications. By this time FGS Composites had also become involved in the manufacture of artificial trees for restaurants interiors. In the 1980s Urs was invited back to Europe to create and fabricate a balancing bear for his home town. 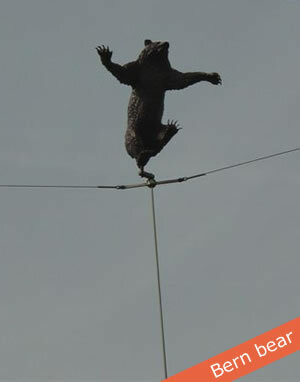 The bear was the best attraction in town for more than twenty years, sitting in the tramway overhead lines. People had great fun watching him balancing in the wind. Later, back in Australia, Urs settled on the Queensland coast near a small town renowned for its engineering industry. He was asked by the aircraft manufacturer, Sea Bird, to help in the research and development of the SEEKER aircraft, where his skills in thermoplastics could be utilised to fulfil the requirements of pattern, mould and product making. The standards were written by Urs and he is still involved with the Sea Bird Company today. Aware of a demand for his services, Urs Kueng established a mobile FRP unit that travelled throughout the region and constructed or fixed anything associated with marine, agriculture and general industry. 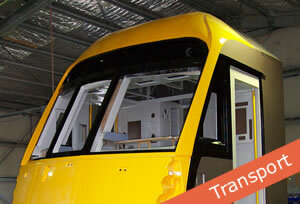 A workshop was subsequently fitted out so that customers could bring in their goods to be repaired or constructed. This soon became too small so a move was made to a large slipway which had premises big enough to cater for the greater influx of work and provide marine vessels the necessary hard standing and slipping to 600 tonne. These new premises became a hive of activity where many refurbishments were undertaken, in addition to the now multiple mobile units working across the region. 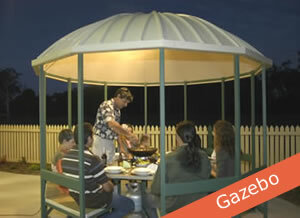 During this time the research, development and production was well underway for new innovative dome roofing systems and art projects were completed for different local councils. The firm's reputation grew and clients became broader based, so a decision was made to move to new larger purpose built premises. The workloads now incorporated mass transport, construction of industrial chemical tanks, truck components and high tech infusion and RTM light. Keeping informed of any changes is important to FGS, so staff training is vital for the company to maintain their high standards and up to date industry knowledge, along with efficient Quality Control. Continuous upgrading of equipment, technology and training provides FGS Composites with the proper tools to offer their clients the best possible outcome for their products. FGS Composites is a recognised supplier to the Australian Defence Forces, a member of AIDN.